Business Card Case by Troika in the shop. The two compartment business card holder by Troika impresses not only with its simple appearance, but also creates order amongst the cards. 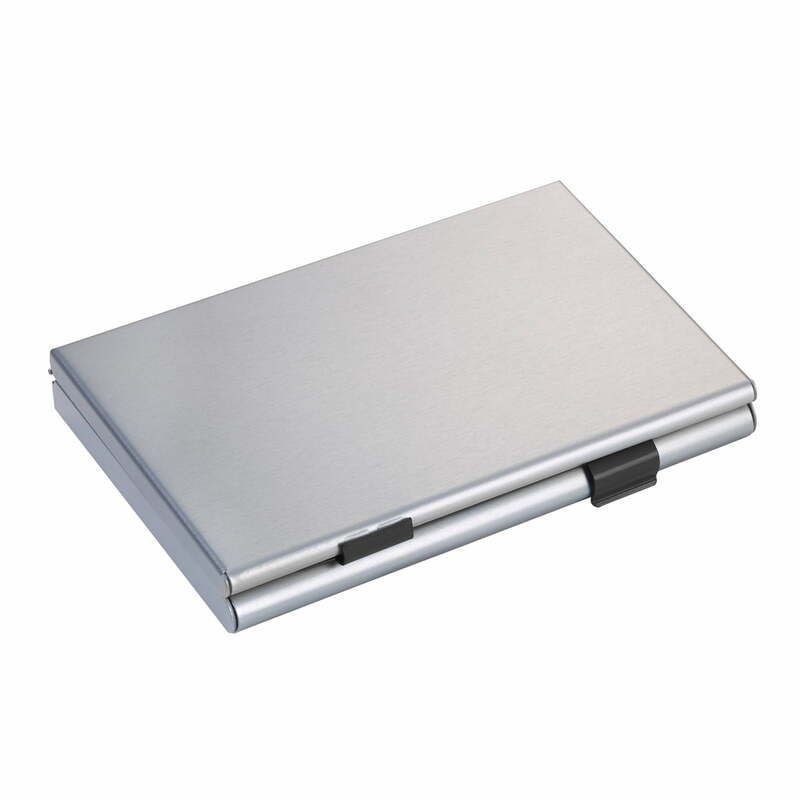 Two compartments make it simple to separate personal and external business cards, as well as to create custom stack of shopping or club cards: perfect for the next business meeting, conference or trade show. 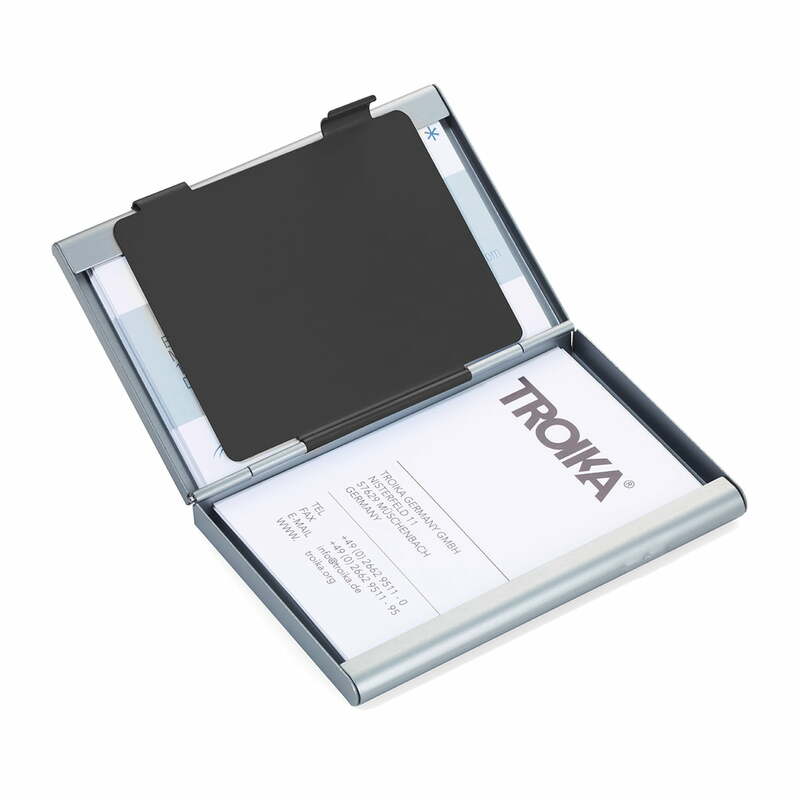 Image of the two-compartment business card holder by Troika in titanium / black. 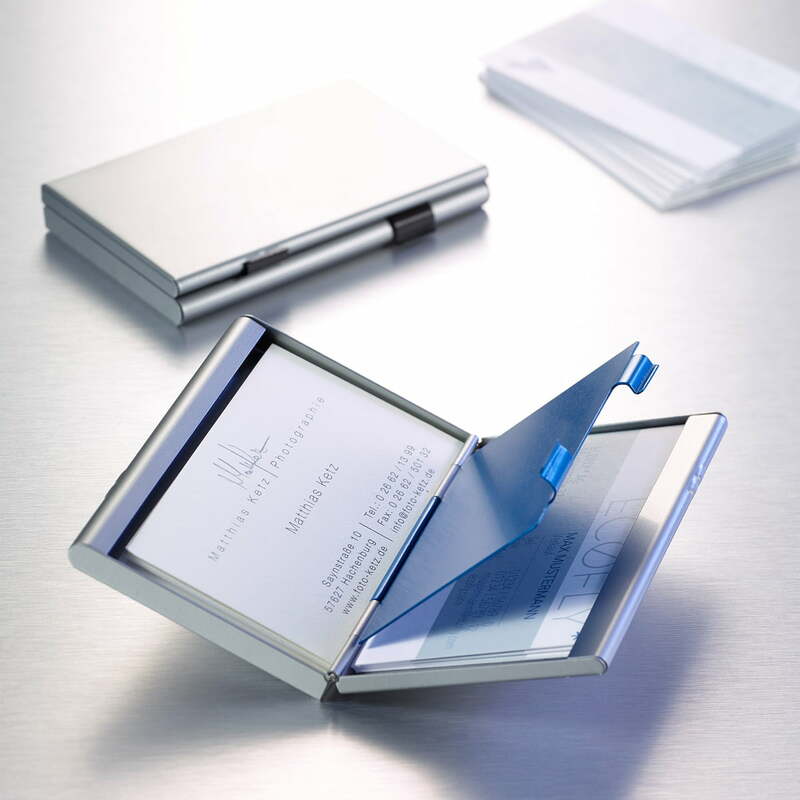 The two compartment business card holder by Troika is made of aluminium. Two compartments make it simple to separate personal and external business cards, as well as to create a custom collation of shopping or club cards: perfect for the next business meeting, conferences and fairs.